At the end of each semester, the Nashman Center hosts the Symposium on Community-Engaged Scholarship. This event invites students, faculty, and community partners to share their experiences, disseminate findings, and learn about other campus/community initiatives. All Presenters and Attendees RSVP to attend via this link. Information for Symposium presenters is available here. Join faculty, students, and community partners in a thoughtful conversation about our roles as active citizens in a participatory democracy. Symposium participants are encouraged to explore as many rooms as possible. 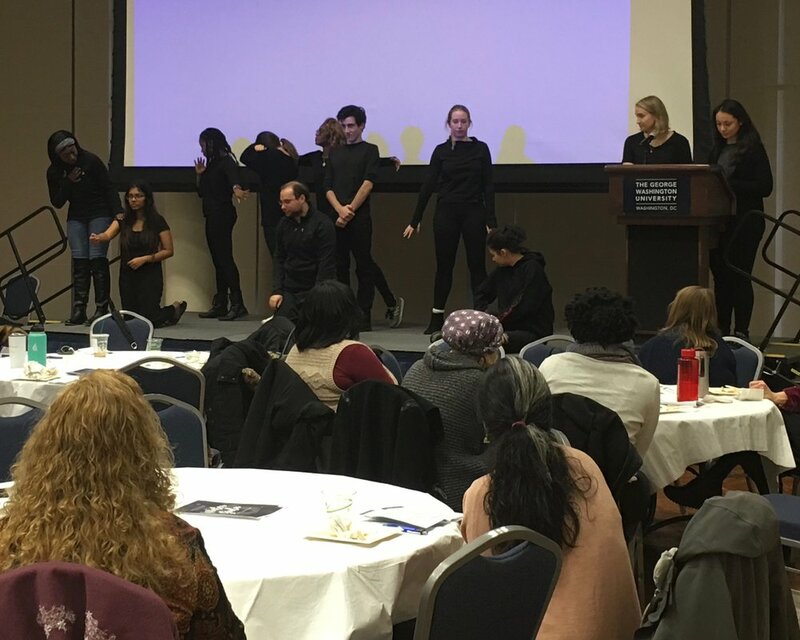 Students will presentation on their community engaged scholarship from a variety of disciplines, including: communication, human services and social justice, university writing, engineering, business, Spanish, community health, and media and public affairs. Symposium participants are invited to choose one of the following theme-based conversations. Now that you have experience addressing a social issue in the local community this semester, what comes next? In this session, students will be introduced to the Pathways to Public Service and Civic Engagement model and will consider a variety of approaches to leverage more positive change on the issues they care about, such as: advocacy, policy analysis, political action, research, entrepreneurship and fundraising. 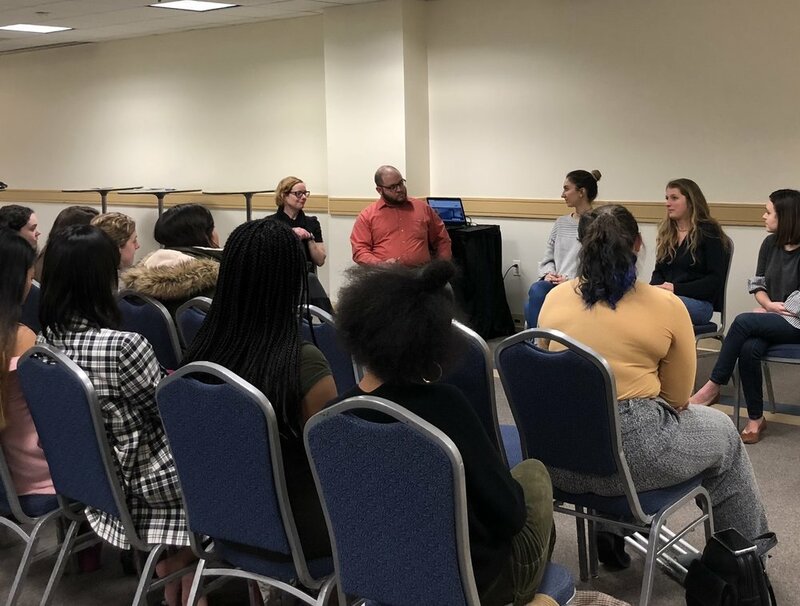 In this roundtable, GW students will examine the challenges and opportunities that they experienced as they came to understand how race, gender, ability, and class affected their roles in the community. 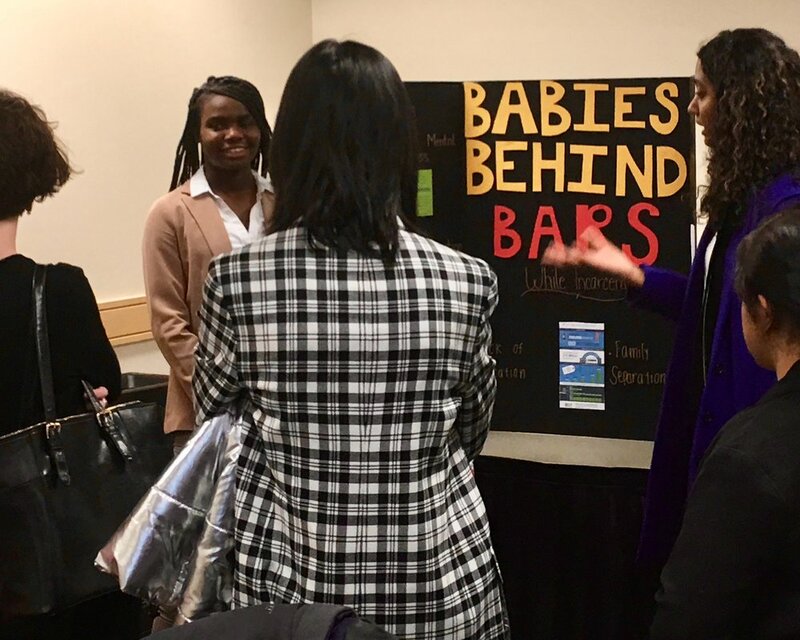 Student presenters served as mentors with DC youth or served with young adults with autism, all hoping to build authentic relationships across differences. How much should race factor into a partnership between a white college student and African American children whose family has been impacted by incarceration? Do class differences interfere when a middle-class African American woman mentors African American high school students in Congress Heights? What assumptions might we make when meeting a person who is autistic and nonverbal? How can we all productively mobilize our own identities to build positive relationships with people in the community? Learning and serving in a community leads innovative thinkers to imagine endless possibilities to tackling social issues. 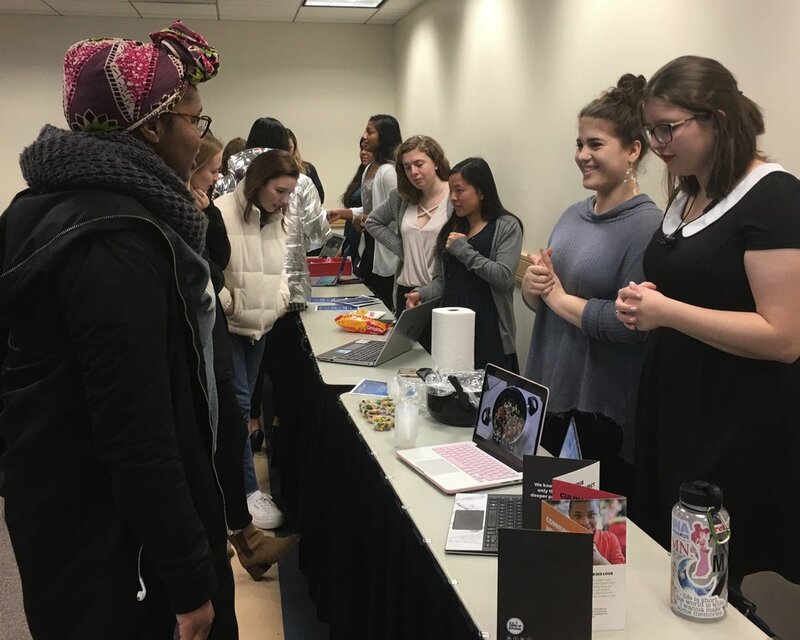 GW students have started a movement by utilizing the Social Innovation Hub through the Nashman Center to work with communities and create innovative approaches to foster social change around the world. 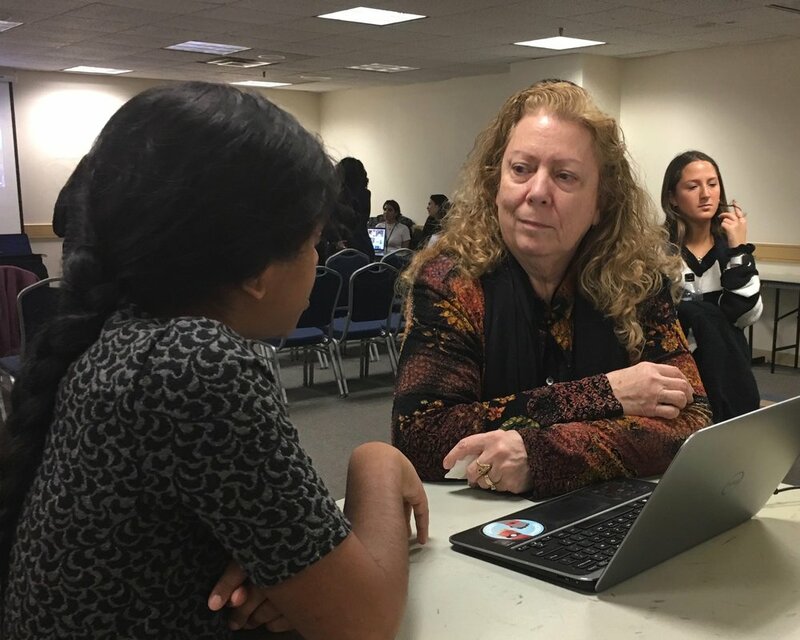 This session will provide a collaborative space for the GW community to create innovative solutions to social issues and discover the resources available to turn these ideas into action. Come learn how you can go from ideas to projects with support from the GWupstart team through funding, mentoring & training opportunities. Opportunities for mentoring and funding through the Knapp Fellowship will be presented as well. Students, community leaders, and faculty will discuss their community-engagement initiatives, experiences and scholarship with respect to sustainability. Sustainability encompasses the triple bottom line of ecologically, economically, and socially sustainable practices. What are the challenges involved in, “meeting the needs of the present without compromising the ability of future generations to meet their own needs?” (United Nations Brundtland Commission, 1987). A collective reflection on civic engagement impacts through Operación Impacto and our CHI GW (Chavez~Huerta~Itliong) Juntos~Magkasama~Together experience. Join our students' enthusiasm, commitment and call to action. English speakers are welcome. These student leaders will share their stories and discuss how business and management skills allowed them to make a more significant difference in the community. Presenters and session participants will reflect on the intersection of business skills and community engagement. Given your service experiences and awareness of community assets, what issues are important to you and how will you get involved in creating positive social change in the community?